Dr. Lelia Denmark is one of my heros. If you have been around me for more than 5 minutes then you know what a fan I am of her wisdom on caring for newborns and toddlers. She is soooo old school, but her methods have worked really well for both my sister’s kids and mine (we even put Evyn on the Denmark plan as soon as we could.). Dr. Denmark is America’s most experienced pediatrician, and longest practicing doctor. It is estimated that she personally treated over 250,000 patients over 75 years of active practice! What a legacy! 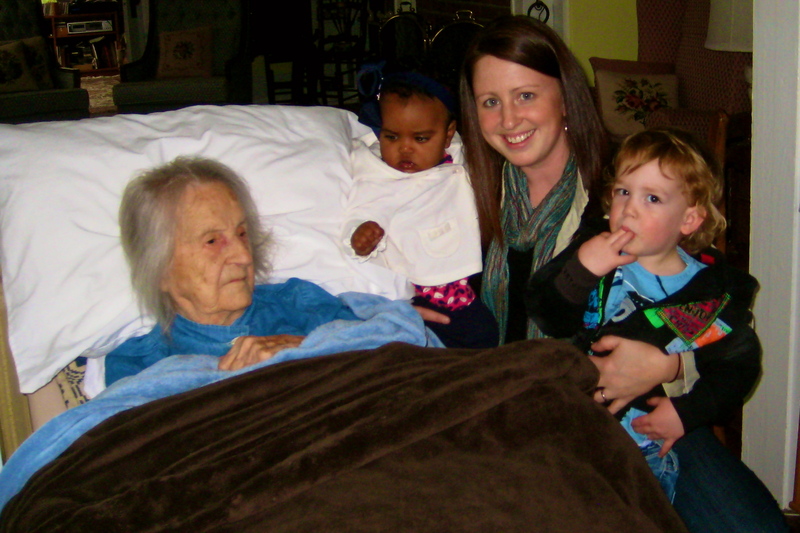 Dr. Denmark just celebrated her 112th birthday a few weeks ago! 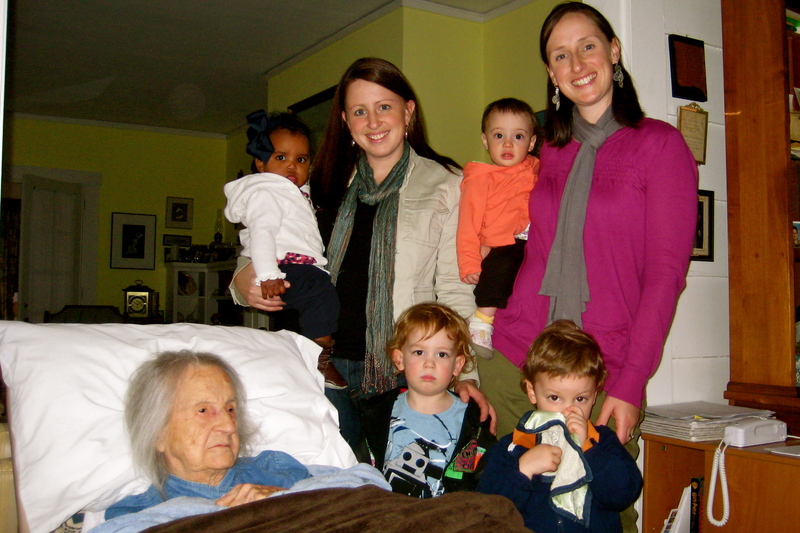 When Nash was about 11 months old I first had the privlidge of meeting Dr. Lelia Denmark in person and this week I was able to visit with her again along with my sister Oliva (who just might be a bigger fan than Dr. D than I!). What an honor to meet such a legend! Great pictures! I need to get by there and see her too! She is such the LEGEND!! So sweet! What an amazing woman!